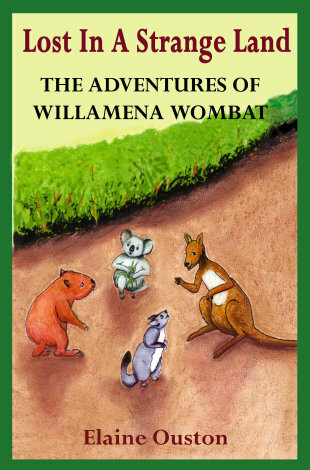 Book Information: When Willamena Wombat discovered that she and three of her friends, Katie Koala, Kelly Kangaroo & Penny Possum were being sent to a Zoo in London she was nervous; and sad at leaving her other friends behind. She soon forgot her sadness when their cages accidentally fell out of the back of a van during their transfer to the London Zoo. They were lost in an unfamiliar and scary English forest. Brief Bio: Elaine lives in Queensland, Australia with her husband Lou and their dog Caddy, and is currently completing a Master of Letters at her local university. After a career as a graphic artist and copywriter Elaine retired from the rat race and turned to writing children’s fiction. She has written three trilogies. Barben’s Magic Quest and The Mystery Of The Hidden Valley, are in her favorite genre, magic.